Mondays are all about yoga in my social media world (confession: every day is a yoga day in my real life world). 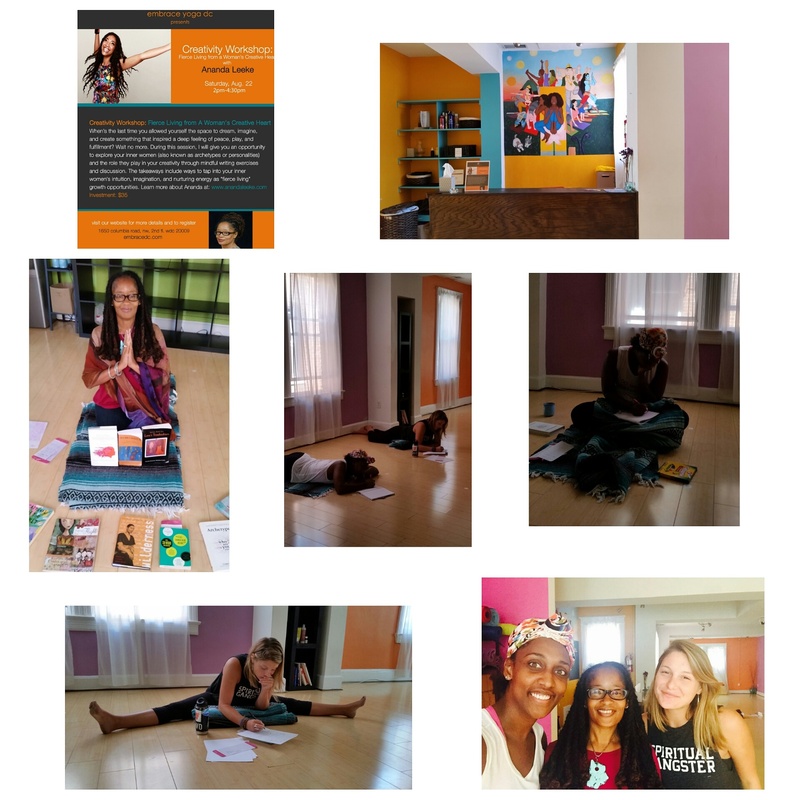 Today, I am savoring the juicy feelings of gratitude I experienced while leading my workshop on Fierce Living from a Woman’s Creative Heart on August 22 at Embrace Yoga in Washington, DC. The workshop gave me an opportunity to serve and share from my heart. 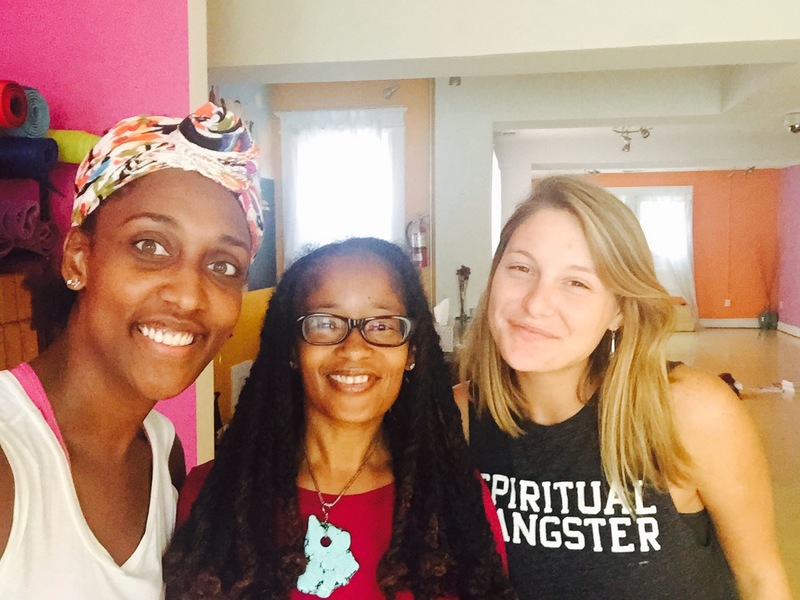 It also blessed me with two creative yoga workshop participants, Krystal Tingle and Rhiannon Landesberg. Together, we practiced breathing exercises and our favorite yoga poses as we journaled and shared our reflections. During the workshop, I wore my “Karma: Aham Prema” VIDA scarf I received the night before. It was a special moment because the scarf was created through my partnership with VIDA in May. We used my painting that appears on the cover of my yoga-inspired novel, “Love’s Troubadours – Karma: Book One” (Amazon) to make the design. 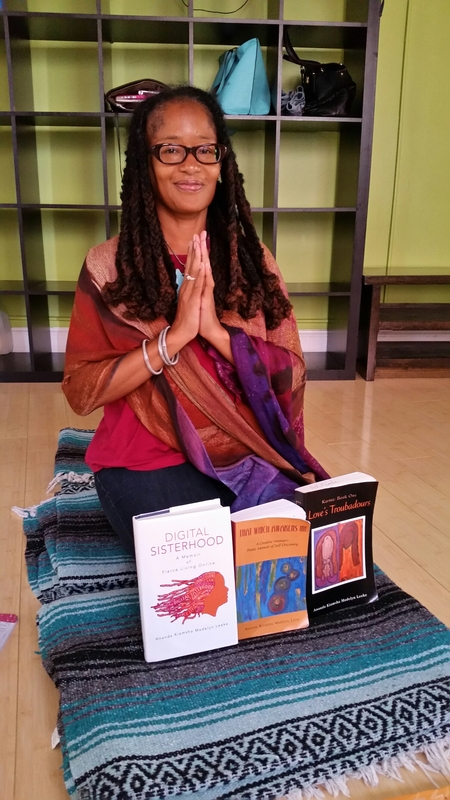 It is a part of my VIDA Voices scarf collection which include three additional scarves that use artwork from my books, “That Which Awakens Me: A Creative Woman’s Poetical Memoir of Self-Discovery” and “Digital Sisterhood: A Memoir of Fierce Living Online” (Amazon). Click here to learn more about my scarf collection. Many thanks to Embrace Yoga and my yoga teacher Faith Hunter for blessing me with an opportunity to serve and share from my heart. 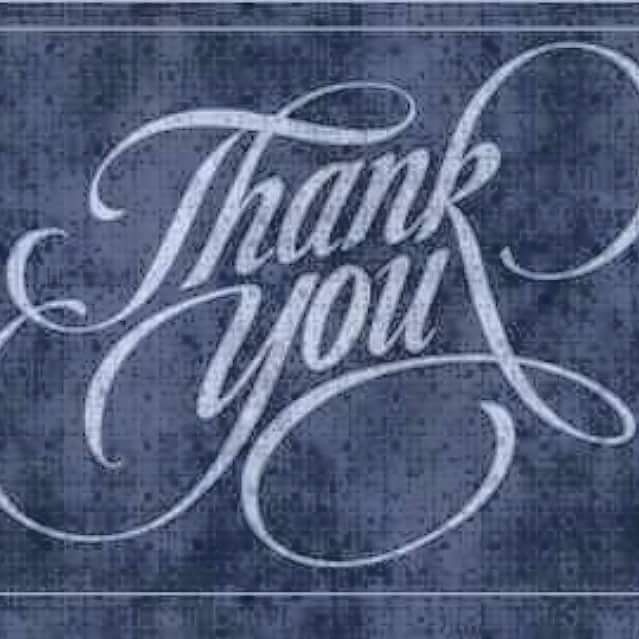 Thank you Krystal and Rhiannon for attending the workshop. 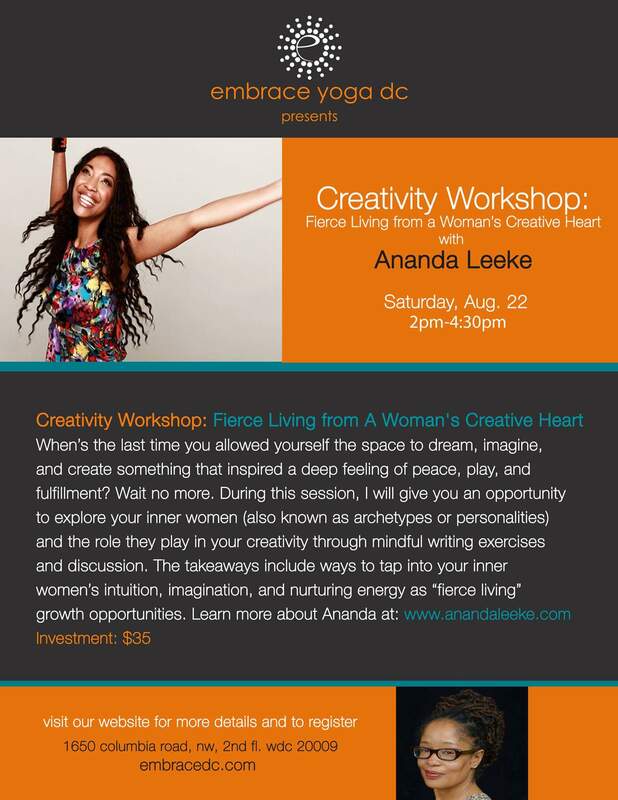 DC, DMV and Baltimore ladies join me for my Fierce Living from a Woman’s Creative Heart workshop on Saturday from 2-4:30 p.m. at Embrace Yoga in DC. See flyer for details. Did you know POTUS Obama issued an Executive Order making the Presidential Innovation Fellowship Program a permanent part of the Federal government yesterday? 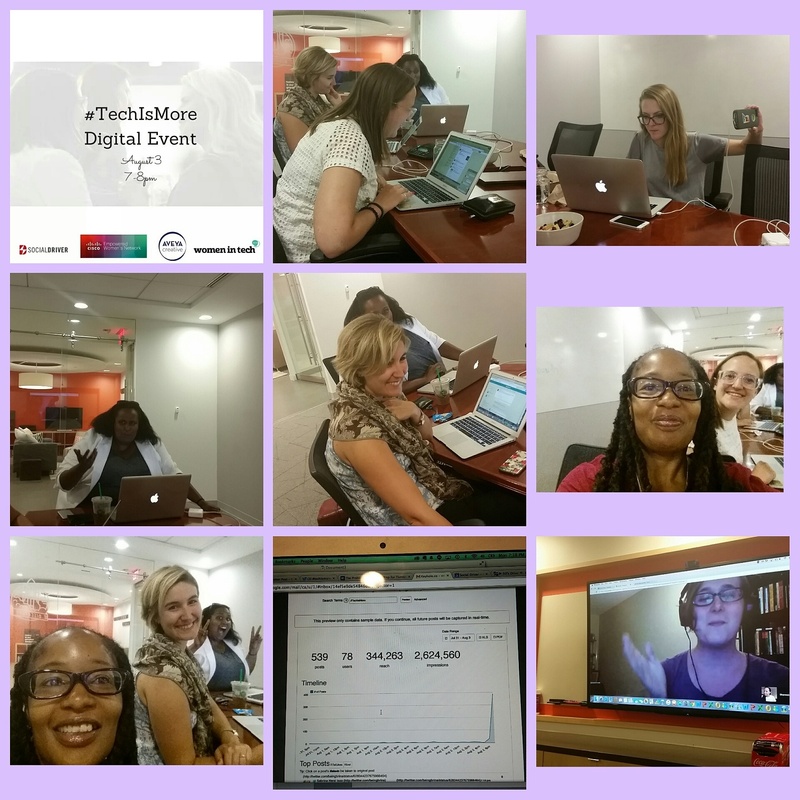 Read the White House’sMedium blog: https://medium.com/@WhiteHouse/meet-the-presidential-innovation-fellows-194dec20442b. Join me for 8/12 #digcit Twitter chat! 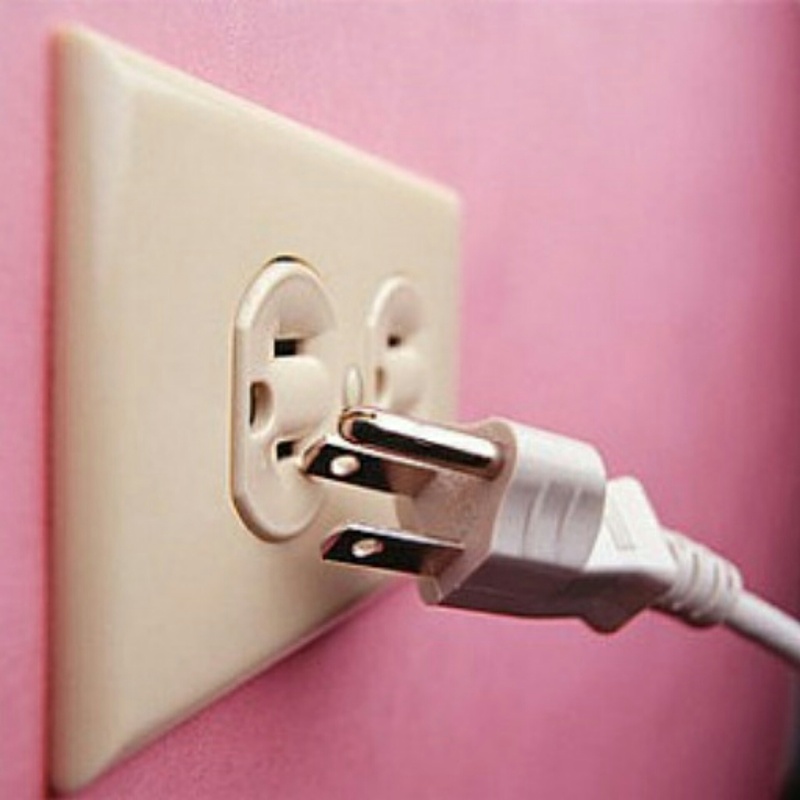 When’s the last time you unplugged and took a break from your digital life? Have you ever thought about creating a digital wellness plan? Join me on August 12 at 7PM ET for the #digcit Twitter chat. 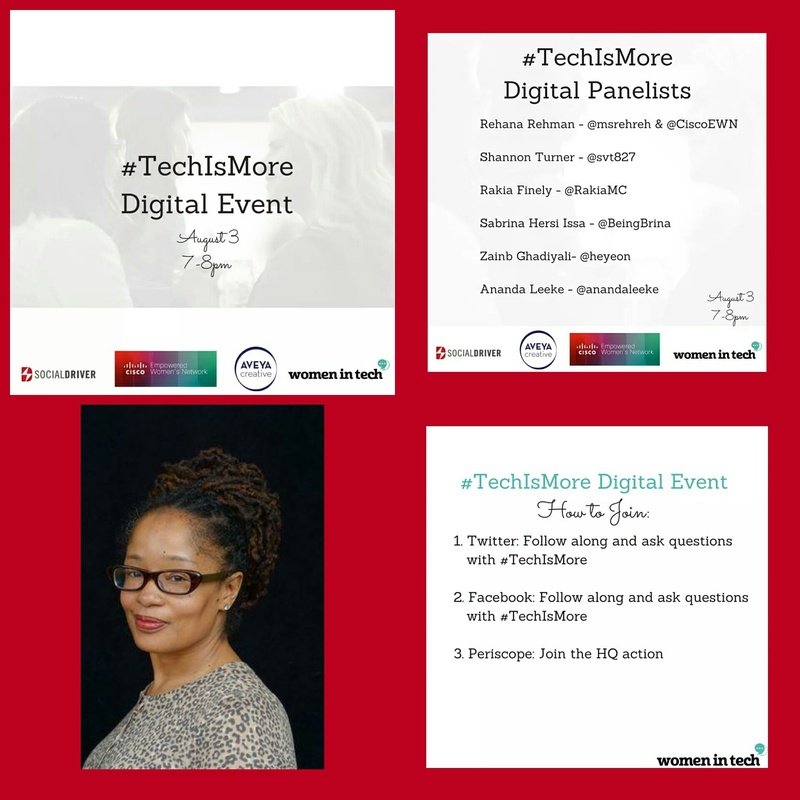 The topic is digital wellness and unplugging. Follow @anandaleeke and use the #digcit hashtag to participate in the chat.